When it’s time to party, no one does it quite like Palmetto Bay. On March 5, Palmetto Bay held its annual Celebration Picnic in Coral Reef Park to recognize their Village incorporation in 2002. An estimated 5000 people took it all in. 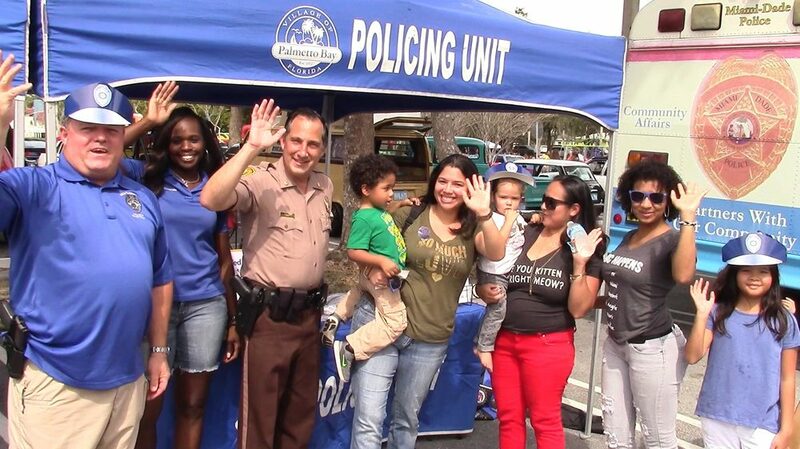 With tons of bounce houses, carnival rides and games, the Village Police Department, a Miami-Dade helicopter, a fire ladder truck, the Mayor’s Cup Baseball Game, a full-fledged auto show, performances from local schools and good weather, this picnic had it all. Coral Reef Park continues to improve as well. The walking path that weaves throughout the park is getting resurfaced with a special soft-impact material and lighting will allow people to take late evening and early morning strolls. In addition, the main baseball diamond just received a state-of-the-art scoreboard. The Village is also taking its next steps to encourage development of a new Downtown District in and around the Franjo Triangle. A grant of $7.5M is on its way to allow for infrastructure improvements and an innovative broad street design that will lead to development of a new live-work-play environment.